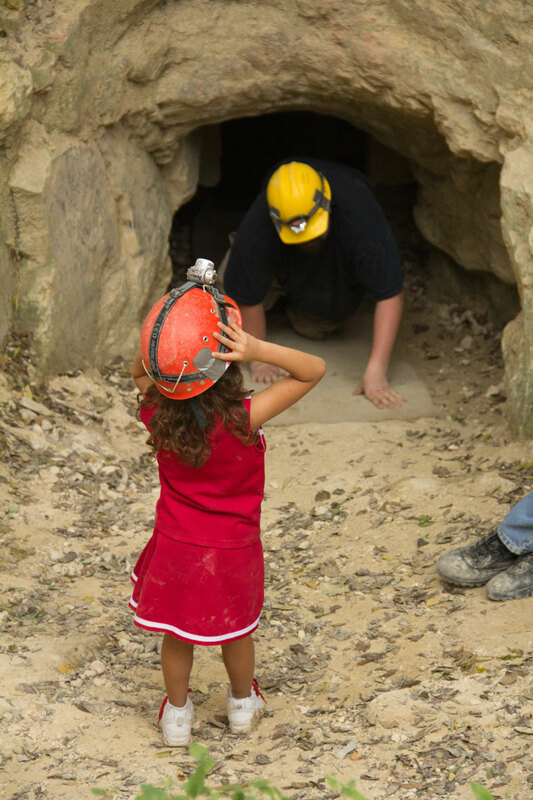 Robber Baron Cave is an extensive maze cave with numerous interconnecting passages. 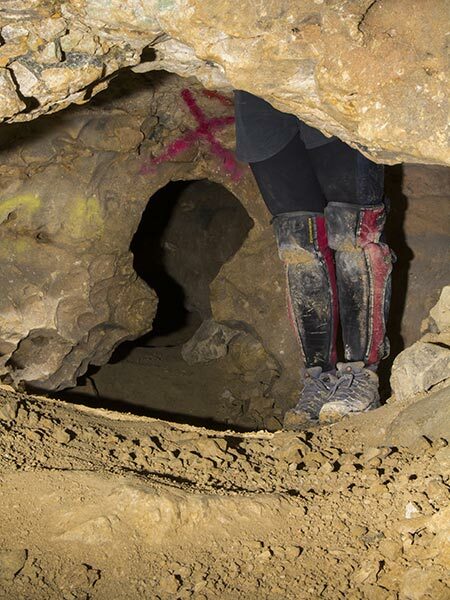 The cave is in a highly urbanized area and has been regularly visited for the last century, including a period in the early 1900s when it was operated commercially. As a result the cave has been heavily impacted, including many areas of vandalism and graffiti. Panoramic photo of the aptly-named Graffiti Room by Jim Jasek. Robber Baron Cave is one of the most significant of the over 500 caves in Bexar County, Texas. It is the longest known cave in the county with 5340 feet (1627.5 m) of mapped passages. This cave has many interesting features, including a large sinkhole entrance, a geologically complex two-dimensional maze of passages, a rich history, and several unique species that live only underground. Robber Baron Cave probably has an origin related to the Edwards Aquifer, even though the cave is in the Austin Chalk limestone. Biological studies have discovered several blind invertebrate species found nowhere else on Earth. In December 2001, the US Fish and Wildlife Service (USFWS) listed two of these species as endangered. The cave is also the only one in the county that has been open to the public as a tourist attraction. 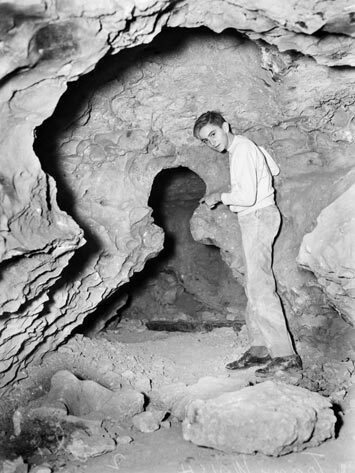 From 1923 to 1933, an estimated 300,000 people toured the cave. As San Antonio grew, the cave became part of a densely urbanized area and subject to problems of vandalism, graffiti, and unauthorized visitation. Acquired by TCMA in 1995, Robber Baron is now protected as a karst resource, to not only preserve its unique biology, geology, and history, but also to provide a place where people can learn about and experience the underground environment. Participants at a Robber House Open House, which is held in the spring and fall at Robber Baron Cave Preserve. Photo by Bennett Lee. 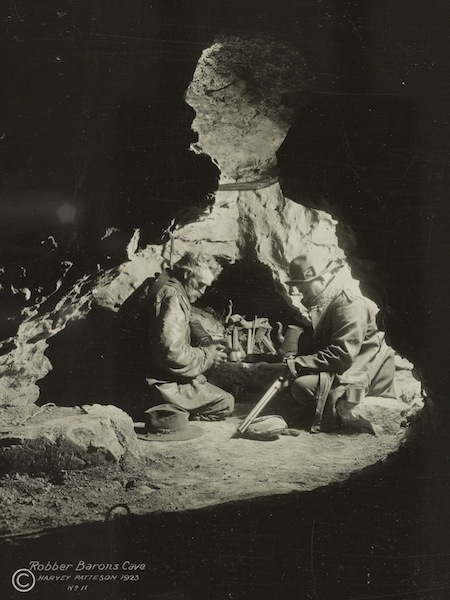 "Robbers" hiding out in Robber Baron Cave in this promotional photo from 1923. Photo by Harvey Patteson. 1939 photo of "The Man" silhouette. Note the significant floor change only a 16 years later. 2017 photo of "The Man". If not for the distinctive silhouette, this location would barely be recognizable from the earlier photographs. Photo by Bennett Lee.